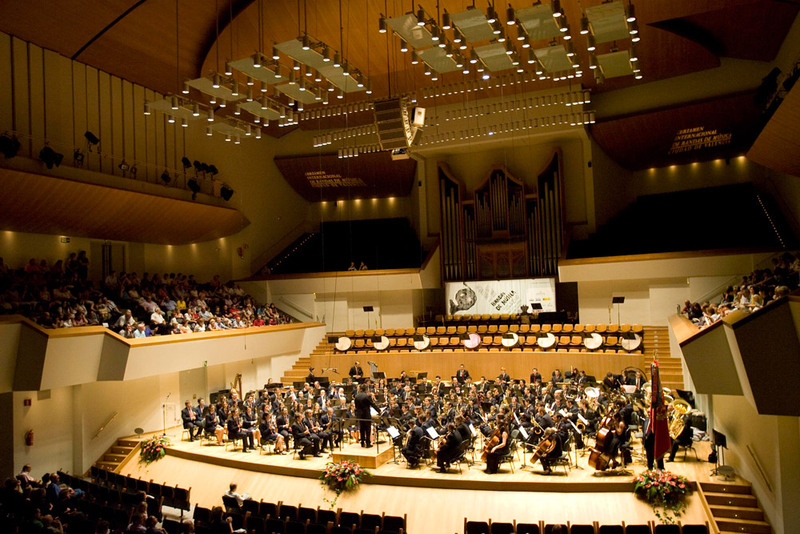 During the 124th edition, and for the first time in its history, the whole of the International Wind Band Contest “City of Valencia” was held in the splendid surroundings of the Valencia Palau de la Música. La Lira Cultural Association from Pozuelo de Alarcón, the Valladares Music Association, the Stadtmusikkapelle Landeck from Austria and the Catarroja Music Association. 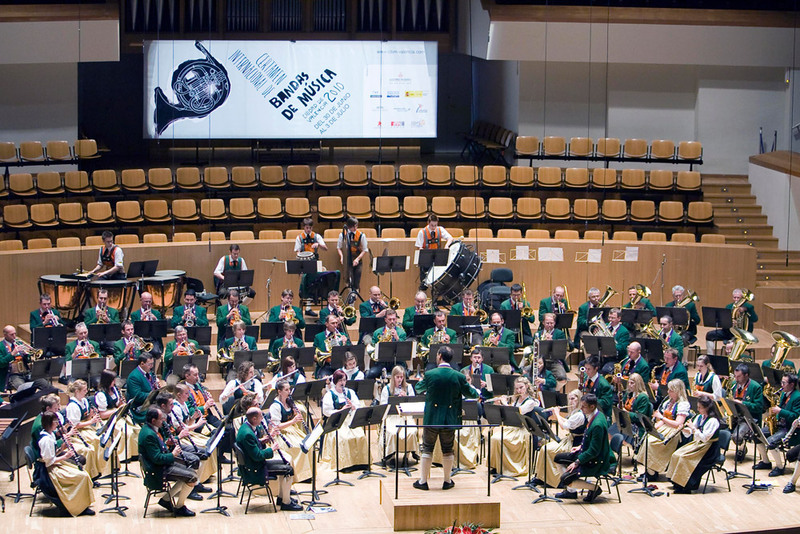 Divisions of the 124th edition of the International Wind Band Contest “City of Valencia”. First prize: La Lira Cultural Association from Pozuelo de Alarcón. The La Lira Cultural Association from Pozuelo de Alarcón won first prize in the Honorary Division. Under the direction of Maximiliano Santos Ferrer, the musicians from Madrid played the compulsory piece “La dama centinela”, by the Valencian composer Luís Serrano Alarcón, which was commissioned by Valencia City Council and played for the first time in this edition of the Contest. For their free-choice piece, the band chose “Flor de Azahar”, by Gregory Fritze. Their two performances gave them a total of 365 points and the prize of 18,000 euros. Second prize: Guadassuar Santa Cecilia Music Association. The second prize in the Honorary Division was given to the Guadassuar Santa Cecilia Music Association, which gained 339 points and was awarded a prize of 8,000 euros. The Guadassuar Santa Cecilia Music Association, conducted by Juan Carlos Civera Martínez played “Alexander Nevsky”, by Sergei Prokofiev as their free-choice piece. Third prize: Harelbeke Symphonic Band Vooruit. Third place in the Honorary Division went to the Harelbeke Symphonic Band Vooruit which was awarded a total of 331.5 points and a prize of 4,000 euros. The band conductor was Geert Verschaeve. First prize: Valladares Music Association. The Valladares Music Association won first prize in Division One. 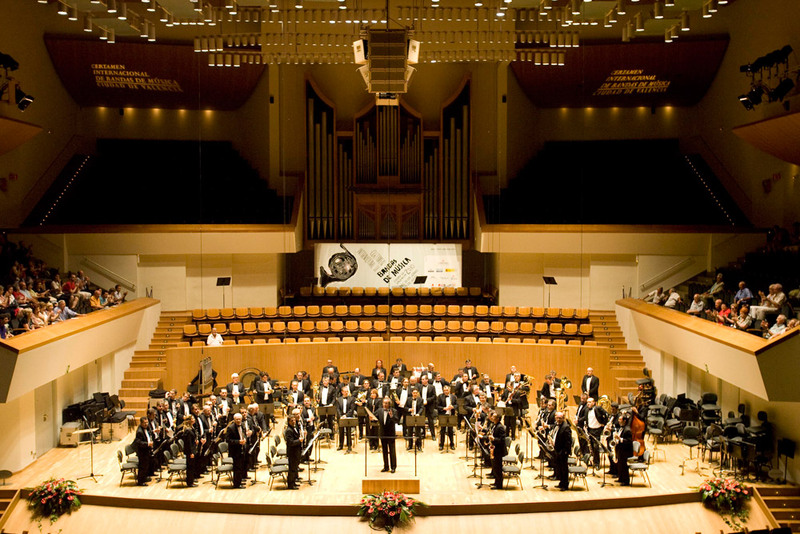 The musicians from Vigo scored a total of 289 points and a cash prize of 7,000 euros. The band, conducted by José Iglesias Ramilo played the compulsory piece “La noche de Brahma”, by the young Valencian composer Jesús Santandreu Gregori, and for their free-choice piece they chose “Dance movements”, by Philip Sparke. Second prize: La Lira Music Association of Alfarp. The second prize of 3,000 euros was awarded to Societat Protectora Musical La Lira D'Alfarp who scored 250.5 points. The conductor was Juan Iznardo Colom. Third prize: “Sauces” Music Group of Cartagena. Third in Division One was the "Sauces" Music Group of Cartagena with 245.5 points and a prize of 2,000 euros. The band was conducted by Jaime Belda Cantavella. The Austrian musicians of the Stadtmusikkapelle Landeck triumphed in Division Two. 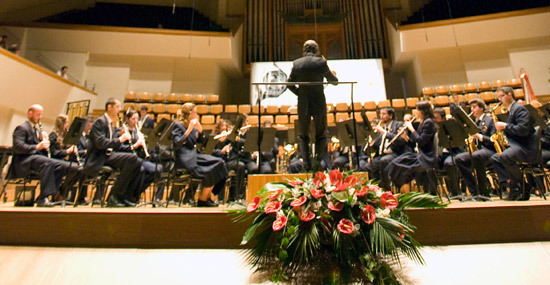 This band gained a total of 349.5 points with their renditions of the compulsory piece “Paisaje levantino”, with which the Contest paid homage to the centenary of the birth of the Valencian composer José María Cervera Lloret. And their free-choice piece, “Praise Jerusalem”, by Alfred Reed. The conductor of the band was Helmut Schmid. Second prize: Santa Cecilia Music Association of Enguera. The second prize went to the Santa Cecilia Music Association of Enguera who scored 320.5 points. The conductor of the band was Teo Aparicio Barberán. Third prize: “Eslava” Music Association of Albuixech. Third prize in Division Two went to the "Eslava" Music Association of Albuixech with 309.5 points. The conductor of the band was Daniel Olmos Herrero. First prize: Catarroja Music Association. The Catarroja Music Asociation won first prize in Division Three with 340.5 points. This group played, under the direction of Filiberto Mira Ortega, the compulsory piece “Club Europe”, by Martín Ellerby, and “The legend of Flathead Lake”, by Carl Wittrock, as their free-choice piece. Second prize: “Sementeira” Band of Cambre. Second prize in Division Three went to the "Sementeira" Band of Cambre, A Coruña, with 338.5 points. The conductor of the band was Francisco Javier Vidal Suárez. Third prize: Redován Music Association. The Redován Music Association won third prize with 322 points, under the direction of Mario Ruíz Barberá. The Lyra Tatuí Brass Orchestra, performed as the guest band, a group created by the prestigious Brazilian musicians Adalto Soares and Silvia Zambonini, from among the students at their music school for orphans, where the pupils receive a free cultural and musical education, the only requirement being that they complete their studies. A unique spectacle that united excellent performances and a cultural and social program of the first importance. The 124th edition of the International Wind Band Contest “City of Valencia” dedicated two emotional tributes to individuals closely connected to Valencian music: The Valencia Municipal Band debuted the piece “In memoriam”, by the Argentine composer Vicente Moncho, in tribute to Paco Campillo, a resident of Sueca, Manager of the Valencian Institute of Music and a member of the Contest’s Organizing Committee. They also played the paso doble “Paco Campillo”, by Salvador González. The Organizing Committee also wanted to acknowledge the conductor of the Valencia Municipal Band, Pablo Sánchez Torrella, and his years of dedication to the Contest. 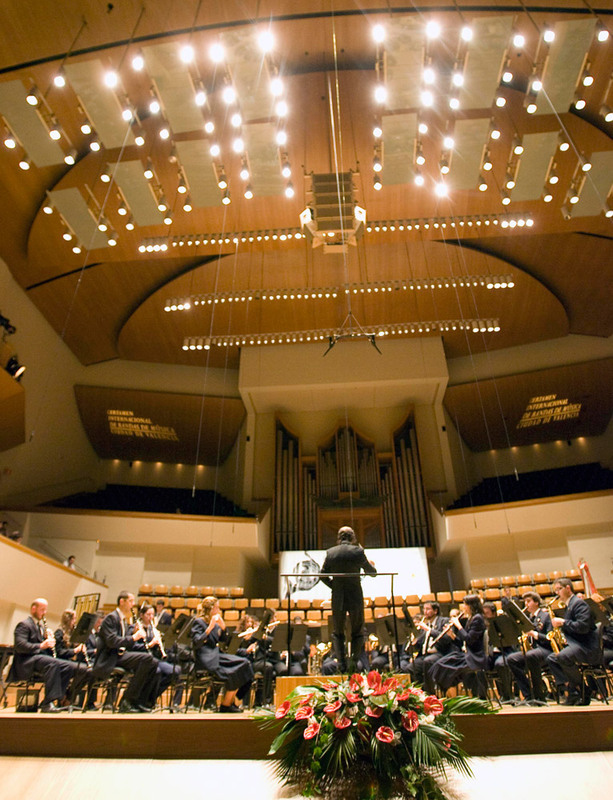 The 124th edition of the International Wind Band Contest "City of Valencia" was the last time he led this band which traditionally brings the Honorary Division to a close. The Councilor for Festivals, Félix Crespo, gave a commemorative plaque to Pablo Sánchez in thanks for his work. 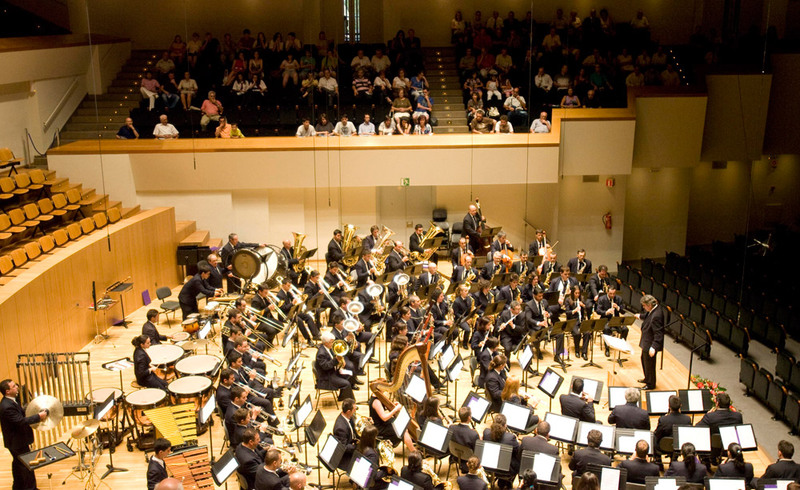 Fonoteca of the International Wind Band Contest “City of Valencia”: all the music from the contest at your fingertips!